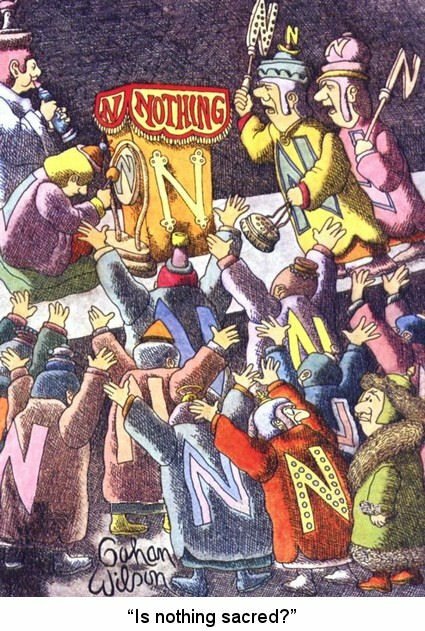 << It is with great sadness that I inform all of you who love Gahan Wilson, that he is retiring. After 60 plus years as one of the greatest cartoonists ever, he is hanging up his pens and brushes. He said he wanted to do a few more of the quick sketches for any fans that might want one before he retires. So, if you want a final sketch by Gahan Wilson, click on the link below. It will only be up until mid day tomorrow or when we reach about five to ten orders. As his stepson, it makes me so sad to announce this. I grew up watching him create the classics. He had boundless energy, and wit, and a unique view on life. He is, indeed, a genius. I cribbed the above off artist Greg Oakes’ Facebook page. Gahan Wilson’s Facebook page and Virtual Museum. 25 queries in 0.127 seconds.